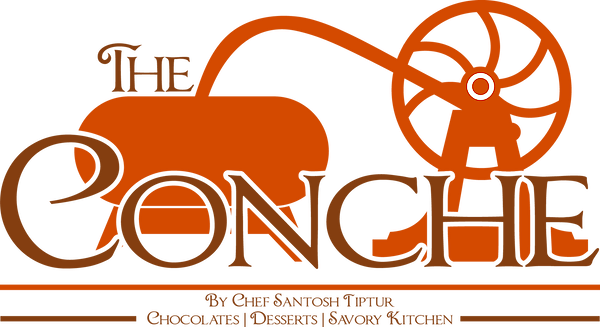 School’s out for summer, and just in time to welcome kids looking to partake in sweet summer fun, Celebrity Chef Santosh Tiptur of newly-opened chocolate-themed restaurant and bar The Conche has announced that they will be offering a hands-on 3-day summer confection camp with sessions available beginning in July and running through the end of August. Priced at $250 per child for children ages 8-16 years of age, and hosting camp sessions for between 8-12 campers at a time, The Conche’s ‘Sweet Escape Summer Confection Camp for Kids’ will take place from 9am to Noon each day for three consecutive days. Camp attendees will enjoy a hands-on experience learning a different culinary lesson each day including how to make artisan chocolates, decadent desserts, and custom chocolate sculptures for each camper all under the guidance of award-winning master Pastry Chef Santosh Tiptur. Chocolate and confection-loving campers will also enjoy both lunch and desserts each day. Camp will take place in The Conche’s state of the art 300 square foot ‘Chocolate Lab’. Registration and pre-payment are required and can be made by calling 703-779-1800 or emailing Contact@The-Conche.com. On day one, campers will learn about the history of chocolate and how to make artisan chocolate bonbons from scratch. Lunch and treats included. On day two, campers will learn how to make decadent desserts, the basics of classic desserts using different components, and the importance of the building blocks of a dessert: taste, texture, temperature. Lunch and treats included. On day three, campers will learn how to make their own custom chocolate sculptures. Award-winning master Pastry Chef Santosh Tiptur will teach campers how to cast, build, and decorate a custom chocolate sculpture. Lunch and treats included.